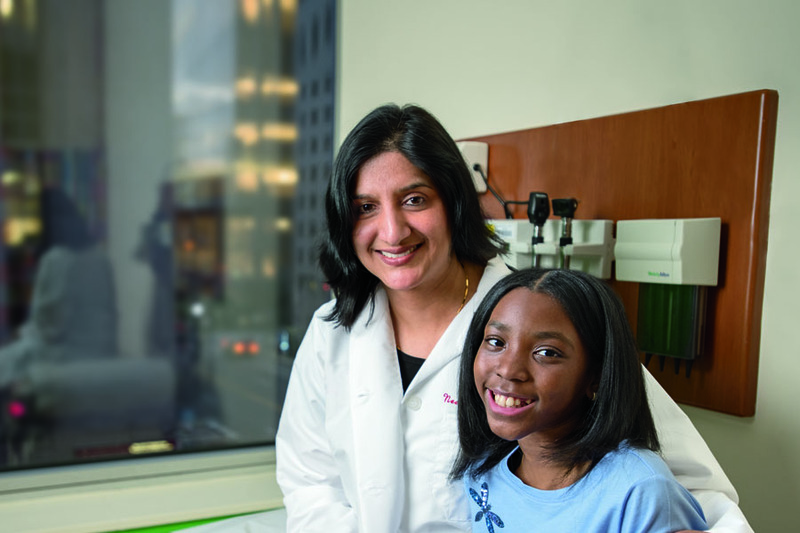 With the aim of advancing pediatric research, a group of families and individuals at Weill Cornell Medicine has made it their mission to improve children’s health. The Children’s Health Council, founded in 2014, provides support to physicians and scientists as they pursue discoveries that tackle some of the most prevalent health issues facing children and adolescents today. As a physician-scientist, Dr. Neera Gupta, director of research for the Pediatric Inflammatory Bowel Disease Program and associate professor of pediatrics at Weill Cornell Medicine, whose current research is in pediatric Crohn’s disease, understands the importance of pediatric research in patient care. Dr. Gupta’s patient data informs her research as well as that of other colleagues within the Department of Pediatrics, such as Dr. Amy Tsou, instructor in pediatrics at Weill Cornell, who also studies pediatric disorders, specifically inflammatory bowel diseases. Dr. Tsou received partial funding for her research through the Children’s Health Investigators Fund, an eff ort led by Children’s Health Council members that funds pediatric research throughout Weill Cornell Medicine. By shedding light on pediatric issues and highlighting the connection between quality research and excellent care, Council members hope to bring the need for increased funding into the spotlight, and to continue bringing the best care to patients. In addition to funding research in the Department of Pediatrics, the Children’s Health Investigators Fund supports researchers in the Division of Child and Adolescent Psychiatry and the Gale and Ira Drukier Institute for Children’s Health. Another recent research project funded by the Council is led by Dr. Shannon Bennett, assistant professor of psychology in clinical psychiatry, Dr. Faith Gunning-Dixon, associate professor of psychology in psychiatry, and Dr. Conor Liston (MD ’08), assistant professor of neuroscience and of psychiatry, experts in the assessment, treatment and neuroscience of anxiety and depression across childhood, adolescence and early adulthood. Their study is the first to utilize cutting-edge brain imaging techniques developed at Weill Cornell to identify patterns of brain network connectivity in adolescents and young adults with anxiety and depression. Their work may lead to innovations in the assessment and treatment of these disorders during childhood. Beyond funding research, the Council holds several events annually to increase public knowledge of children’s health topics and shed light on the importance of pediatric research. Children’s Health Council Discovery Panels, for example, provide public discussions led by top Weill Cornell physicians on a variety of topics relevant to pediatric health, ranging from immunity to sports injuries. The Council’s annual Family Science Day allows families and their children to participate in hands-on activities led by Weill Cornell graduate students. As the Council looks toward the future, members hope to continue to increase participation and widely spread awareness of the pediatric research they support, says Mara Feil, vice chair of membership for the Council. When she and her husband, Brian Feil, became parents nearly three years ago, their perspective on how they could give back changed. If you wish to join the Children’s Health Council, please contact us at childrenshealthcouncil@med.cornell.edu or 646-962-9566.